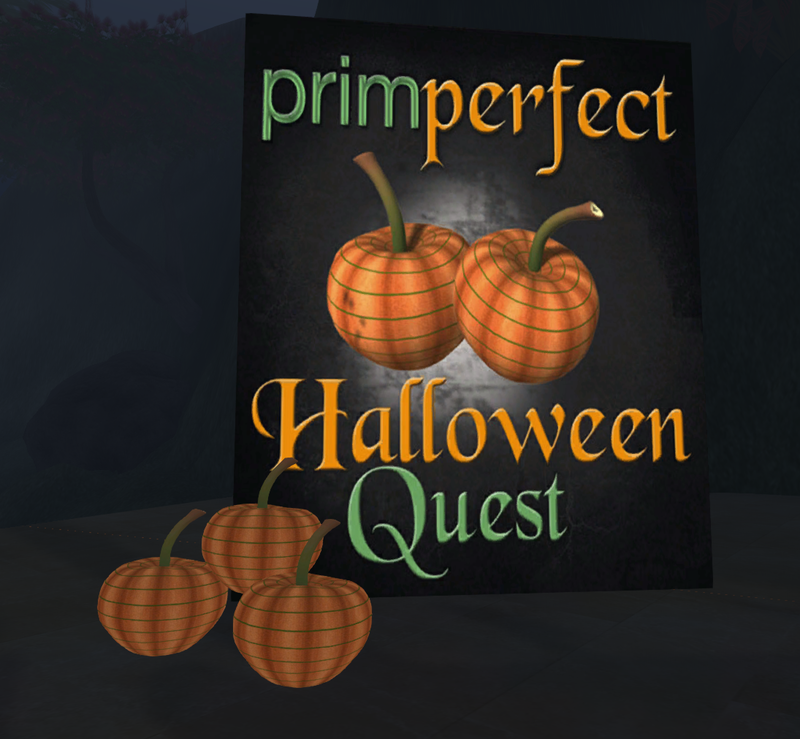 Those of you hunting for all of the Halloween Quest items may discover that a few of the locations have closed. Never fear! If you haven’t yet collected your tokens from those destinations you will find them at the new Prim Perfect Head Office. We know of three closures; Pumpkin Town, Haunted Paths and The Haunted Mansion. Their Quest Objects, with the tokens inside, are available at our new home. Ignore the dust as we unpack and look for the poster, you’ll see the pumpkins waiting for you. If any additional locations become unavailable we’ll add their pumpkins to the pile. We’re sorry you didn’t get to see these cool builds and apologize for the hassle! Contact Honour McMillan inworld if you encounter any further difficulties. Remember the Quest ends on November 15th. Good Luck!